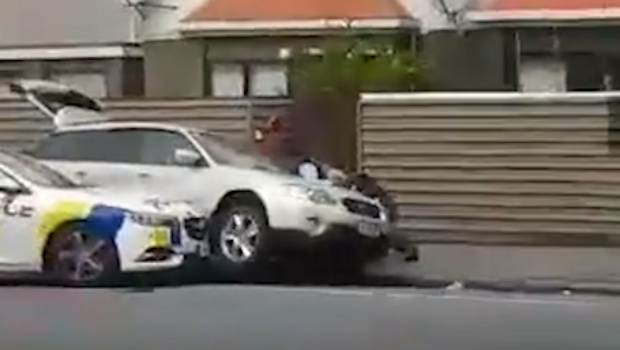 Footage of a suspect being arrested in Brougham St after the mosque shootings in Christchurch on March 15. 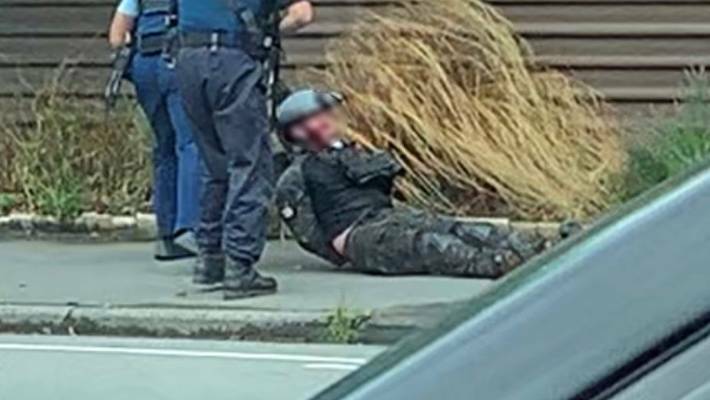 Video footage has captured what appears to be the moment that the gunman was arrested in relation to the Christchurch mosque shootings. 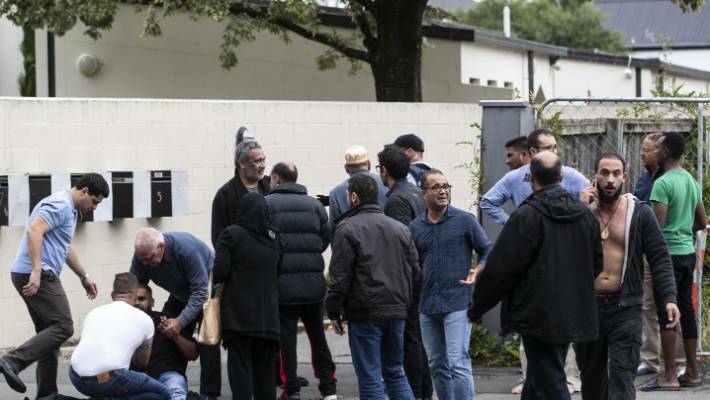 On Friday, a man entered the Deans Ave mosque in Christchurch and opened fired, killing 41 people. Seven people were also killed at Linwood Avenue mosque and another person has since died in hospital, with 42 others being treated for injuries. 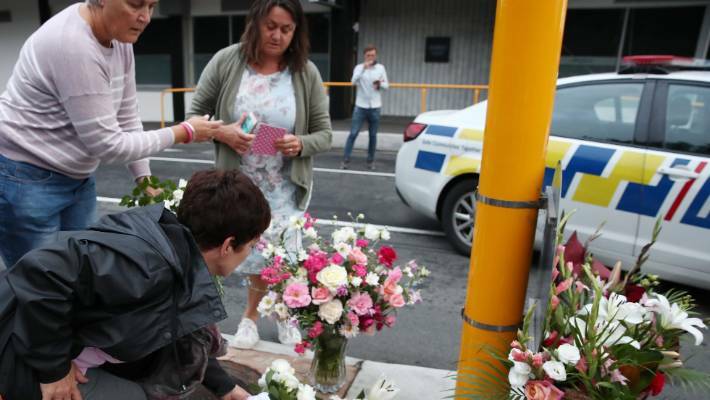 A four-year-old child injured in the Christchurch shootings is in a critical condition and has been flown to Auckland's Starship Hospital for treatment. Brenton Tarrant was arrested by police on Brougham Street. The footage of the arrest was taken on Friday afternoon on Brougham St following reports of the mass shooting at two mosques. Christchurch resident, Mike, was driving back to work when he saw the police cars and started filming. "I thought it was a police chase and then I saw the car was up on one wheel and still in drive," Mike said. "I saw him being thrown on the ground by police and at that point I didn't know the severity of it." At that point Mike didn't know about the shooting but was curious as to why the man being arrested looked like an Armed Offender Squad member. "He looked like he was dressed in SWAT gear," Mike said. 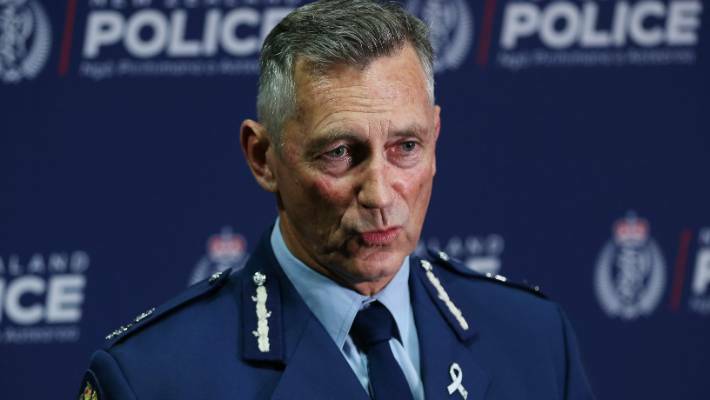 Prime Minister Jacinda Ardern said many people would have seen the footage of the arrest, and said it could only be described as an act of bravery. Police Commissioner Mike Bush praised officers during a press conference on Friday evening. Forty nine people are dead after the mass shooting in Christchurch. "They have gone above and beyond on behalf of their communities to apprehend at least one of these offenders, so I take my hat off to all of my staff. I'm extremely proud of what they've done today." At the conference, Bush said 49 people were known to have died in the "unprecedented, abhorrent" incident. Residents leave floral tributes at Deans Avenue near the Al Noor Mosque in Christchurch. Police were alerted to the shooting at the Deans Ave mosque, near Hagley Park, at 1.53pm on Friday. It is believed the shooting began about 1.40pm. There were at least 300 people in the Deans Ave mosque at the time of the attack. A 28-year-old man appeared at Christchurch District Court on Saturday morning charged with murder, and two others remain in custody. Police Commissioner Mike Bush praised the officers who made the arrest.